A dining table and chairs is the main focus of your dining room so you want to be sure you’re choosing exactly the right set. It’s where you’ll be eating dinner with the family, dining with guests and sharing drinks with friends, so not only does it need to suit your style but it needs to be hard-wearing too! Dining tables and chairs aren’t the cheapest items of furniture so you want to be sure you’re investing in a good set that will last you a while – you don’t want to be forking out again in a year or so. Most of our dining tables and chairs include 4 chairs, though if you have a larger family or regularly have guests over this probably won’t be enough. So why not take a look at our dining chairs to stock up on emergency chairs? They’re always useful to have around! Here at Zest Interiors we offer a selection of dining tables and chairs to complete your dining room. Stylish and modern, these dining tables and chairs will complement any modern household and look stunning in any environment. With glass, chrome and a selection of colours to choose from, we’re confident you’ll love the dining tables and chairs that we have to offer. You can benefit from fantastic savings across all of our dining tables and chairs – and our entire offering of furniture in fact! We believe in offering great value and high quality, so we pass on savings directly to our customers. 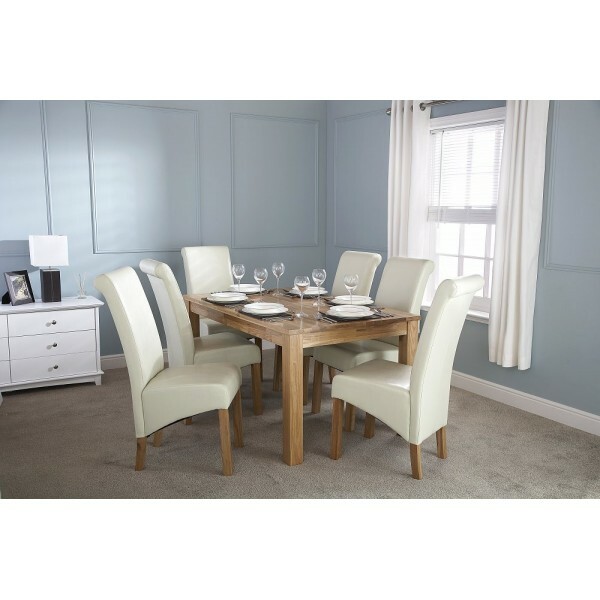 You’d be hard pushed to find better value, high quality dining room furniture anywhere else! If you would like to know more about our products please give us a call on our Sales Hotline FREEPHONE 0800 085 1422. 0 Comments To "Great Value Dining Tables and Chairs"